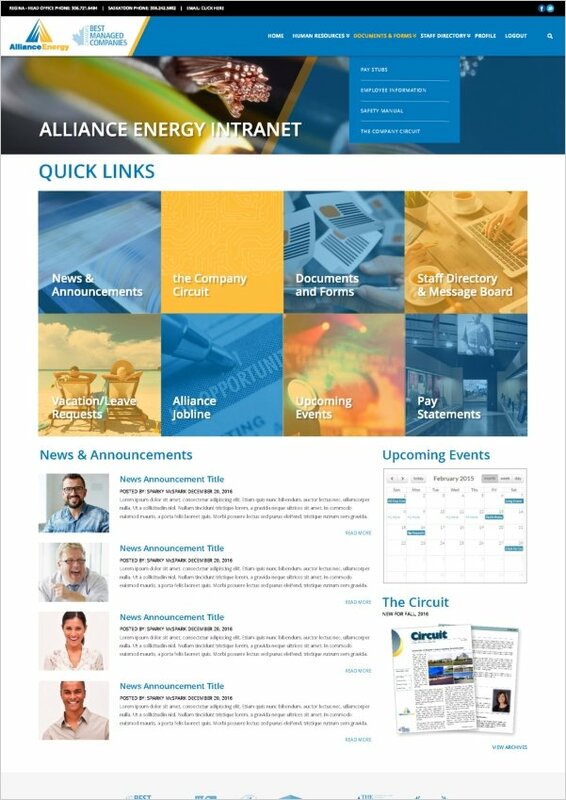 Alliance Energy hired AdSpark Communications to design & build a new website & intranet site for them. 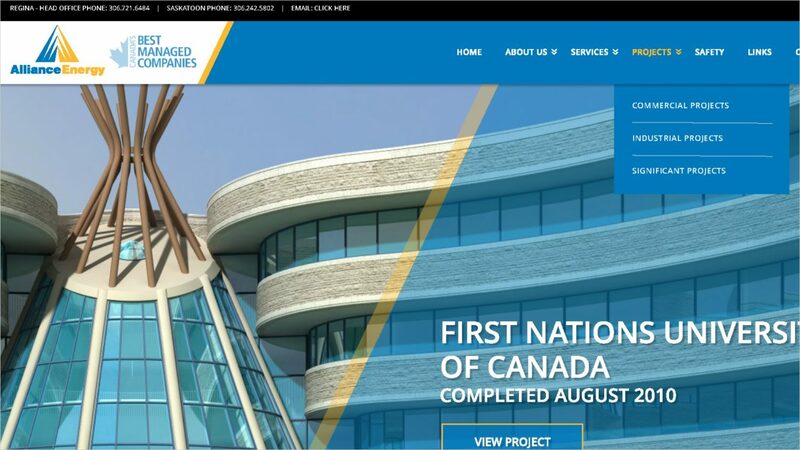 Being one of Western Canada’s largest electrical energy contractors Alliance wanted an online presence that conveyed the size and scope of current and past projects. 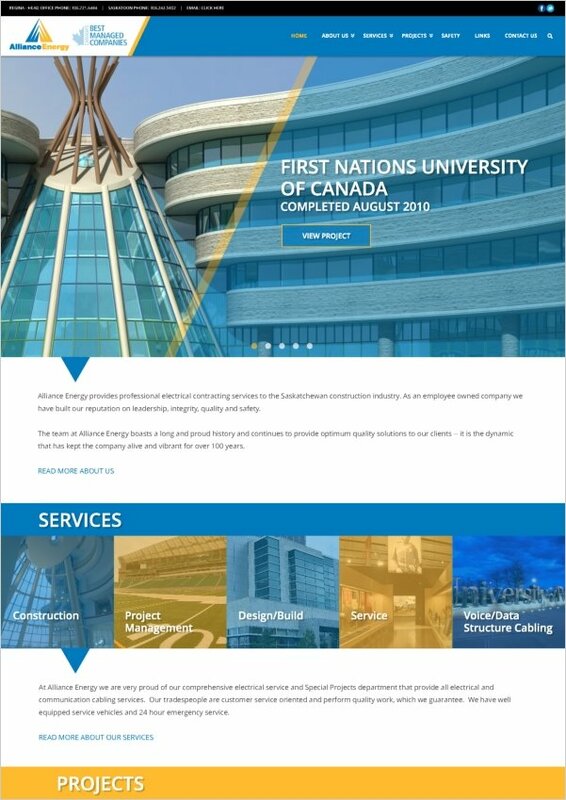 Additionally they wanted a company intranet to provide staff with access to corporate documents, company events and and announcements. 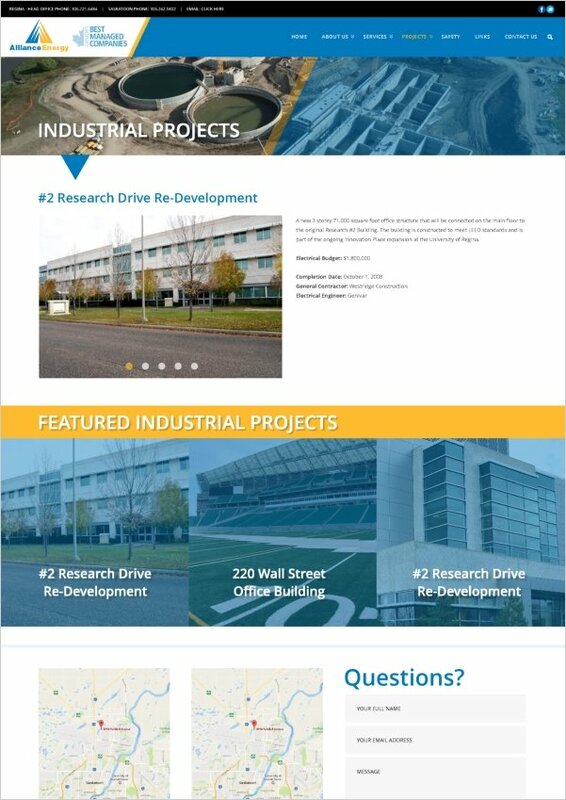 Have a Project? Contact Us! Phone: 306.581.5027 , Email: kickstart@adspark.ca. Or click the button below, fill out the form and we'll contact you! © COPYRIGHT 2009-2018 ADSPARK COMMUNICATIONS INC. ALL RIGHTS RESERVED. Fill out the form below and we'll get back to you ASAP! Thanks!